The key to getting the most out of your practice time is fun and focus. 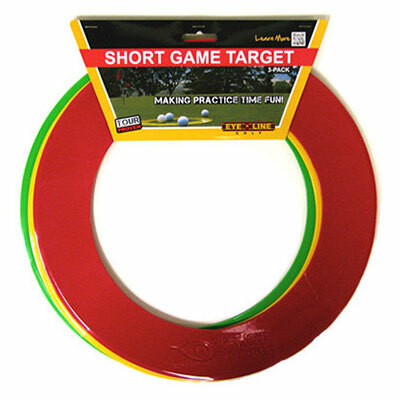 With these innovative targets you can create a variety of games to play by yourself or with friends. There is a clear "in"or "out" for each shot, making it easy to keep score. 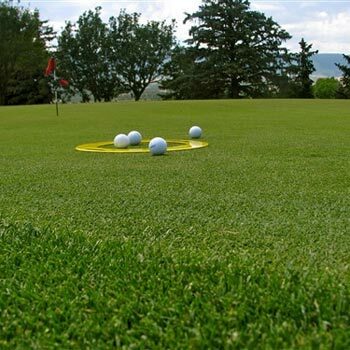 They are perfect landing targets for chipping and pitching shots. 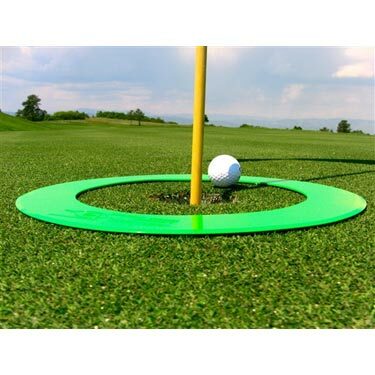 They are also great for working on your speed on the greens. 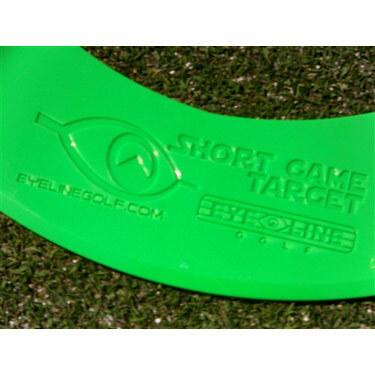 The Premium Short Game Targets are ideal for holding your interest and sharpening your short game. 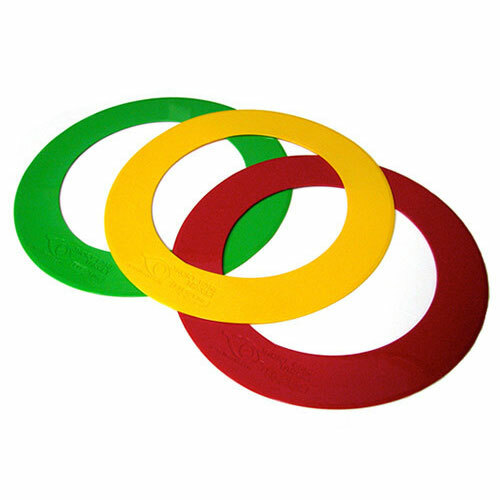 The set consists of 3 high quality rubber 15" circles 1 of each color: Red, Yellow, and Green. They are bright, easy to see. 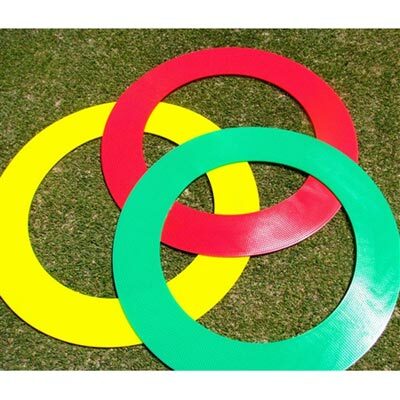 Use them for putting speed drills. They are 1/16 thick, so they do not disturb the roll of the ball. 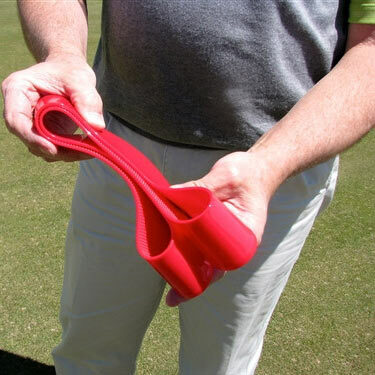 Fantastic for chipping and pitching. Toss them out randomly like Frisbees, then when you've conquered that position just toss them again to create a whole new look.